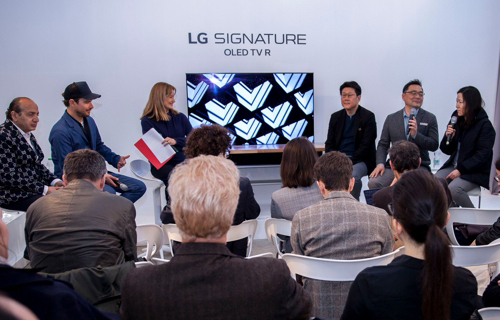 LG Electronics Inc. on Thursday has invited global design experts, media and influencers to a design talk show during the Milan Design Week 2019, drawing positive response from guests to its premium home appliances brand Signature lineup. The talk show was hosted by Alba Cappellieri, professor of jewelry design and the head of fashion design degree at the Politechnico University of Milan, and joined by famous Iranian-German architect Hadi Teherani and German designer Stefan Diez, who studied industrial design at the State Academy of Art and Design Stuttgart. Teherani at the show praised LG’s technological edge reflected to Signature brand as it inspires new solutions for building and product designs, according to LG Electronics. Diez also gave a favorable comment to LG Signature OLED TV R, saying that technological innovation brings imagination to reality, it added. LG Electronics attended this year’s Milan Design Week running on Apr. 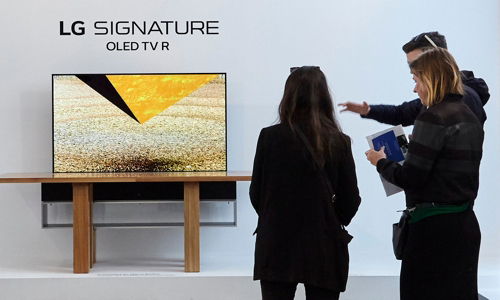 9-14 in Milan, Italy to showcase its premium Signature lineup including the LG Signature OLED TV R, the world’s first rollable TV.